I have heard that on 17 December 1959, there was a mid-air collision between a USAF interceptor and a SAC aircraft about 65 miles north of Pagwa. 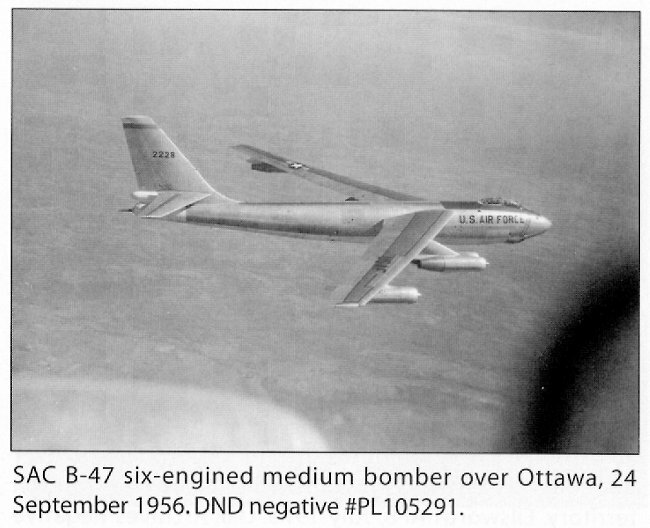 There is reason to believe that the SAC aircraft was carrying nuclear weapons at the time. Yes – that did indeed happen. They ran an F-102 into a B-47 Stratojet. There were no survivors. 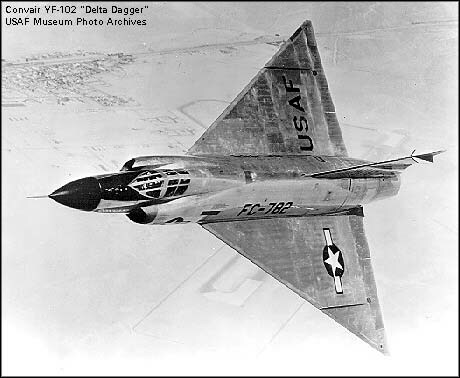 I heard that they found instruments of the F-102 thirty feet in the ground at the location where it came down. I don’t remember hearing anything about any nuclear weapons. I know that we sure had a lot of airplanes show up at the little DOT airport for a while. As I recall the blame got spread all around. The Base Commander did get replaced and he was down in the States when the collision occurred. I remember it well. It cost the Commander, Major Donald Ratke, a hell of a nice man, his job. The crash was caused by the intercept controller okaying a peel off to either the starboard or port after a "splash" on an incoming B-47. 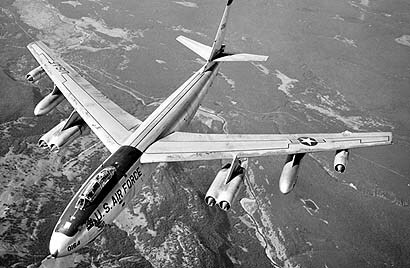 A second B-47 was so close to the one that been intercepted that the two B-47's showed up as one blip on the radar screen, but was not close enough to the first one that the intercept pilot saw it. After a successful "splash" the interceptor peeled off and flew up and into the second one (B-47). There were not, repeat, not, any nuclear weapons on board the crashed B-47. I remember the uproar in the press at the time, but I am clear in my memory that there were no nuclear weapons on the crashed B-47. At the time, the communications officer was a young black 2nd Lt. electrical engineering grad. When we had difficulties communicating with the L-20 and other aircraft flying low around the crash site, he (the 2nd Lt.) asked if we might improve the communications by "bending" the UHF antennas to better talk to the low flying aircraft. A Staff Sgt. from ground communications asked him if his degree was in agronomy! The following detail has been extracted from a book called U.S. Nuclear Weapons in Canada, by John Clearwater, ISBN 1-55002-239-2. Note: Dull Sword – This is the lowest level of nuclear incident involving a nuclear weapon or nuclear weapon system. These are non-significant incidents which could impair the operational capability of the weapon or weapon system, but are not capable of causing a detonation.